The Amboni Caves are the most extensive limestone caves in East Africa. 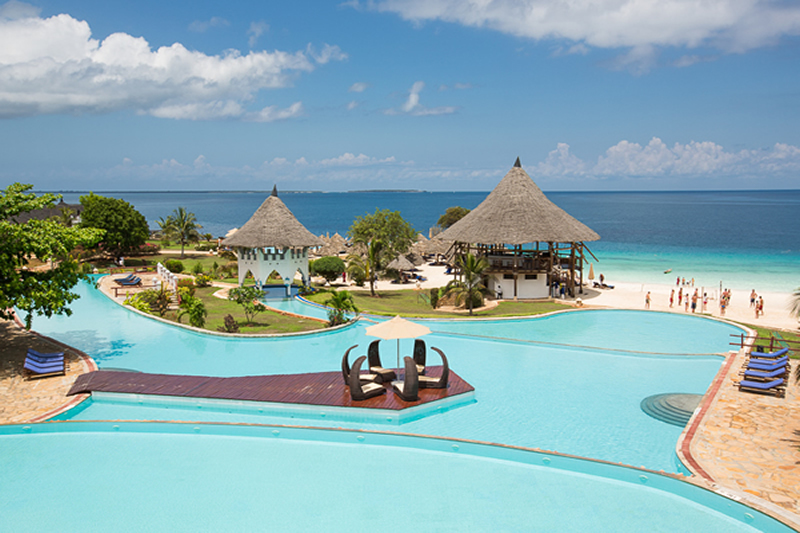 They are located 8 km north of Tanga City in Tanzania off the Tanga-Mombasa road. The caves were formed about 150 million years ago during the Jurassic age. It covers an area of 234 km². According to researchers the area was under water some 20 million years ago. There are altogether ten caves but only one is used for guided tours. It is not known when the caves were exactly discovered but reports indicate that ethnic groups such as the Segeju, Sambaa, Bondei and Digo who lived near the caves used it for prayers. 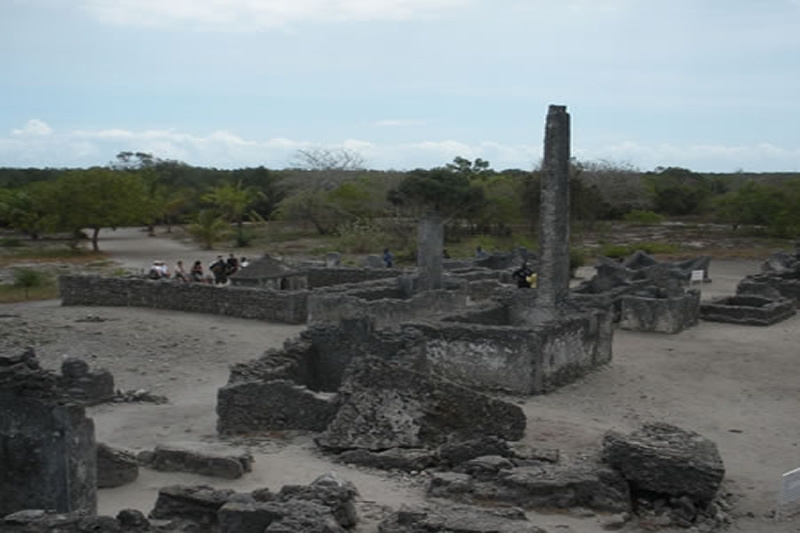 In 1963, the then government of Tanganyika handed over the caves to the Department of Antiquities. These caves have been subject of local legends and a number of mythical and awe-inspiring stories have been attributed to the caves. To the local people the caves are regarded as supernatural formations where supernatural powers commonly known as "Mizimu" are believed to have been residing since the caves formation. There are chambers treated as sacred chambers for worshiping some spirits. One of them is called "Mzimu wa Mabuvu". Some believe that there is a powerful deity which can alleviate their sickness, sufferings or increase their fertility. These limestone caves are formed by a special nature of erosion. According to Mturi (1975:18-19), there are tree theories which explain the formation of the Amboni Caves. The first theory is known as the vedose process. According to this theory, rain water absorbs carbon dioxide in the atmosphere and forms a weak carbonic acid which is capable of dissolving calcium carbonate minerals of which limestone is formed. When this acidulated rain water seeps trough the limestone it is dissolved and cavities and caves are formed. The second theory is that of phreatic origin. According to this theory, the caves are formed by erosion from the sub water table. The rain water with carbonic acid rapidly seeps through the limestone and reaches the water table before being a saturated solution of calcium bicarbonate. At this stage it is still capable of acting as a dissolving agent for the calcium carbonate. The Amboni caves are believed to be the most extensive limestone caves in East Africa, located in Kiomoni village. The caves, a one and half kilometer stretch, are a fascinating historical site, which were used as hiding places for the locals. The Amboni caves are among the area's most popular attractions that have attracted, over the years, hundred thousands of tourists both local and foreign. The caves are very dark inside and potentially lethal. Nearly all tunnels or chambers are accessible to tourists via a guided tour. The Amboni caves are among the area's most popular attractions and feature vast below-ground halls with towering formations. Visitors are advised to wear comfortable shoes and to bring a pocket-size camera, since it's cumbersome to bring a camera with a large lens as walking is through tight squeezes. And before entering some of the tight spots, visitors are asked to leave large bags in an area to pick up later. The views of towering formations in the caves are an admiration. Nearly all its tunnels or chambers are accessible to tourists via guided tour. Walking through squeezes while getting treated to views of incredible formations makes the visit well worth it. The caves have religious significance to the local people who pray and make offerings in one of the shrines. For a section of locals, the caves have been long-known as the place to worship to pray for different needs. Chamber number one is used for the prayers, in what many people associate with superstitions. Different items are deposited here during players as 'gifts that the local villagers offer to the spirits. The caves' upkeep is under the department of Antiquities in the ministry of natural resources and tourism. 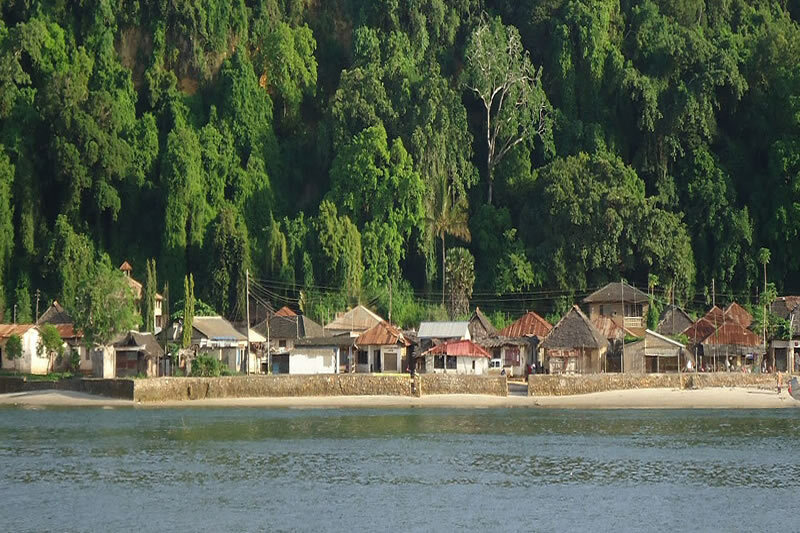 Located nearly 8 kms from Tanga town. Access is by road from the Tanga - Mombasa road. For access to the main forest block (Msitu wa Mbogo) turn left 5km after Tanga onto the B121 road to Mjessani. Park the vehicle 5.5 km along this road and walk south along paths for 2 km to reach the river. For access to Amboni Caves forest patches take the left turning to Kiomono village 4 km after leaving Tanga on the main road to Mombasa. The road runs through the village and down to the caves. Park and proceed on foot along the river to reach the other forest patches further up-river.